Collection Expansion Extravaganza Episode 44: Food Fighters took Tweetys Tail! The old becomes the new! Flea Market Finds becomes Collection Expansion Extravaganza! Click in to find out more and watch the newest episode! Collection Expansion Extravaganza Episode 43: Get Along with the Chief! Collection Expansion Extravaganza Episode 41: Goofy the Christmas tree and Shrinky Dinks! Collection Expansion Extravaganza Episode 40: Rambo, Popple and a FISH you can DRINK out of! Collection Expansion Extravaganza Episode 39: Toys that can start a fire! Collection Expansion Extravaganza Episode 38: Goofy and Terminator! Collection Expansion Extravaganza Episode 37: The Hugga Bunch = CREEPY! Collection Expansion Extravaganza Episode 34: Cake Pans, Ariel and…Rambo? 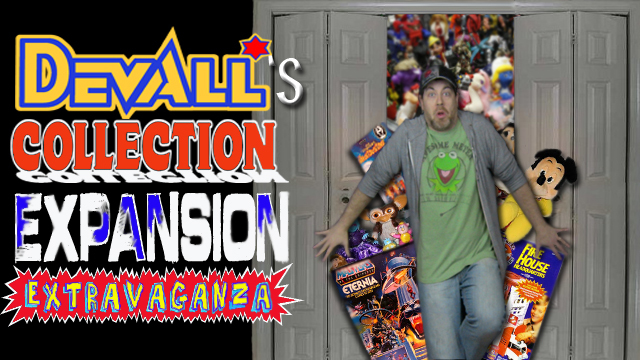 Collection Expansion Extravaganza Episode 33: The Shadow Muppet Giant Disney Stuff Episode! Collection Expansion Extravaganza Episode 32: Over the Top Baby!